Client: Presidential Heating and Air Conditioning, Inc. 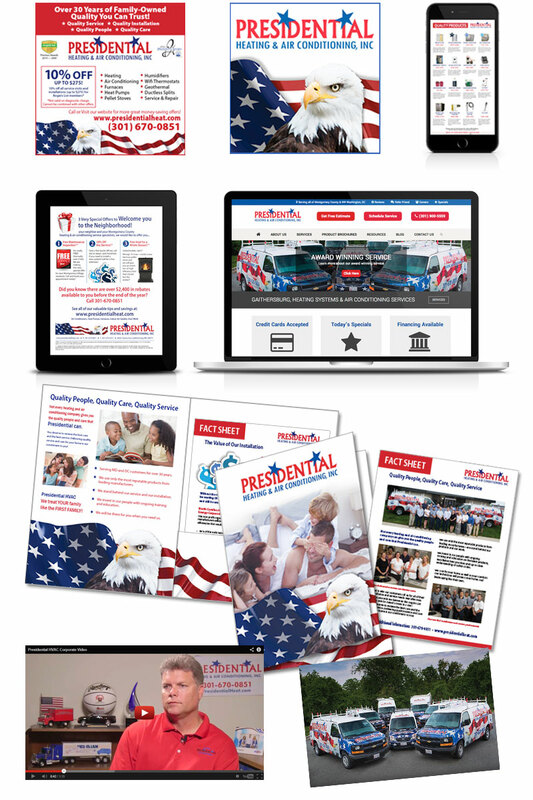 The team at TRUE creative services has been working with Presidential HVAC for several years, not only supplying the company with all of their creative design, but also managing all of their marketing activity through our partnership with SPTandTRUE. Through our managed marketing services we analyze the ROI and create the strategies and budgets for their ongoing marketing initiatives. We have worked closely with the president, operations manager, sales team and staff to supply our expert knowledge of marketing the Heating & Air Conditioning Contractors Industry and have provided them with services and materials such as: Professional photo shoot, videos, website design and development, branded company sales and marketing materials, advertisement design, social media designs, email newsletters, truck wrap designs, etc.